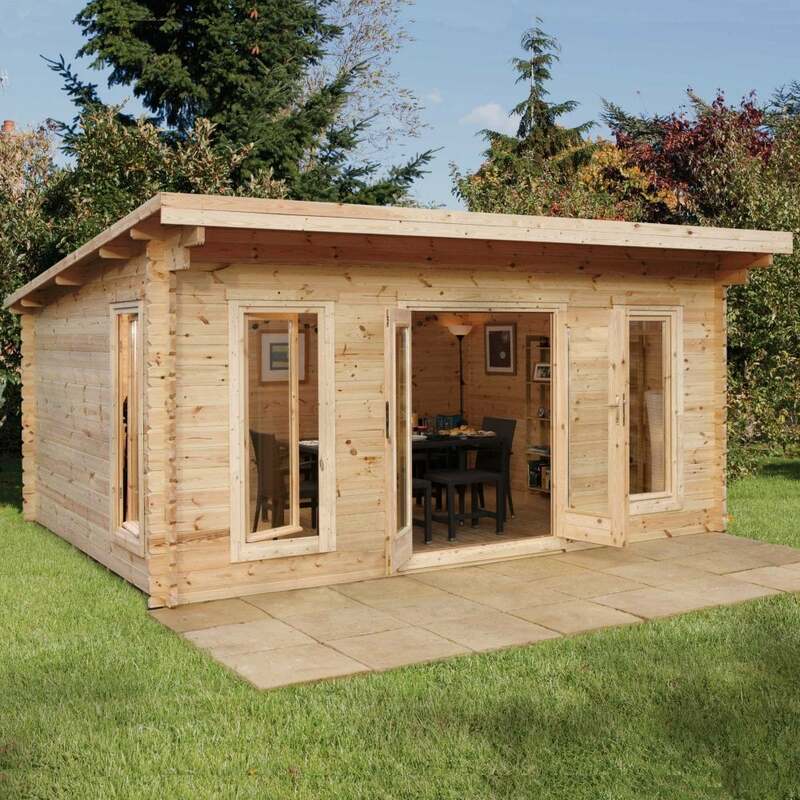 Forest Garden Mendip Log Cabin 5.0 m x 4.0m: The Mendip Log Cabin by Forest Garden is a spacious building with a 17.5m² area, perfect for using as a home gym, garden office or relaxing retreat. The contemporary style cabin is one of the largest in the Forest Garden Range and is manufactured with 44mm smooth-planed interlocking tongue and groove logs with chalet cut corners for a sturdy and durable design. The 5.0m x 4.0m Cabin also features a 19mm tongue and groove roof and 28mm floor with pressure treated floor joists to support the cabin to prevent base damp and rotting. The Mendip Log Cabin includes double glazed doors and three large windows that feature a tilt and turn opening mechanism to provide the building with natural light and fresh air.